The myriad Taxes some of which are unpredictable are among the major hindrances to flourishing of Tanzania Safari Tours. 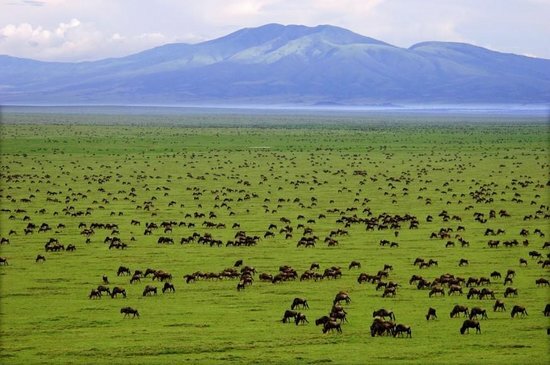 The range of tour operators in destination Tanzania are obsessed with complying with the Tax regulatory structures other than developing tourism itself. The destination Zanzibar which is one of the major Africa safari recreational sites is faced with the same issue. The tourism tax payers are decrying of the uncertainty and complexity of tax regulations. Report from the Independent Tax consultants Wineaster Anderson and Deogratius Muhangila who carried out a study in the year 2015 indicate that the burden of administration costs the Island Tax Payers a sum of Sh7.14 billion every year. Basing on the very document, the Zanzibar Association of Tourism Investors (ZATI) drafted a policy brief which indicated that by 2010, a medium sized company in the destination Zanzibar undertakes forty eight (48) payments per year which means that the tax payer had to visit the bank 48 times on average. This definitely compromises the amount of time allocated to developing business and increasing Africa Vacation Safaris and tours to the area. The Value Added Tax on the tourism services was introduced in the destination Tanzania and came to force in July 2016. The tourism taxes include; levies, fees and licenses can stretch from 10 to 115 with rigorous procedures of entering and are always unpredictable. This puts the tax payers in situation where they are preoccupied by retrieval, request and keeping of information, form completion, frequent movements to tax authorities for clarifications and tax advice. The tax complexities are surely becoming a threat to the growth of tourism business, hard for start ups and discouraging innovations. It can be noted that though government of Zanzibar has attempted to amend obsolete sections, tax law consolidation, establishing education departments for tax payers and introducing one stop shops by having a branch next to a tax office, the operators still find the tax system complex. To remedy the situation, the tax payers are advocating for merging of tax forms where multiple related taxes can be merged into a single tax and paid once to save time, introduction of electronic tax system, increase awareness and sensitization about taxes and setting up of a toll free call center to avail tax information. In other destinations like Rwanda where the electronic tax system is in place and efficient, such complexities have been neutralized and the tour operators are majorly aiming at enhancing travel to Rwanda including Rwanda Gorilla Safaris.